I just fell in love with this love story. Charlie and Luke had chemistry that was off the charts and I could feel it sizzling off the pages! I tried so hard to stop reading their story so I could go to sleep but this story grabbed my attention and I couldn't stop until I had read the very last page! You will love this book! 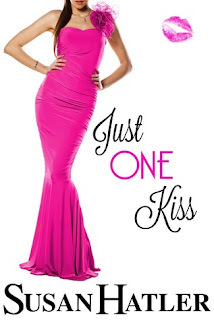 A clean romance with smoking hot kisses, Just One Kiss is a must read!!! Ladd sets the stage, introduces her cast of characters and draws the reader into the beautiful story and life of Isabel Creston. I could see Emberwilde Forest, Mr. Galloway and Mr. Bradford. The opulence of the estate and the fabric of the gowns. The details made this book a come-to-life experience for me. I was taken with the mystery of the forest, the true character of Mr. Bradford and more importantly, what Isabel herself would ultimately decide her future would be. 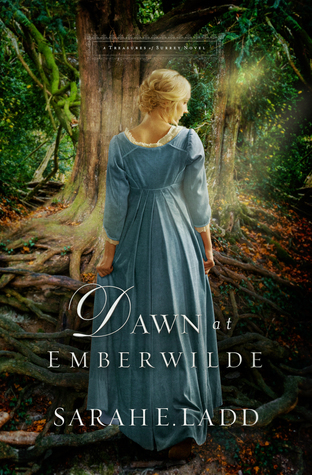 A wonderful read full of emotion and love, Dawn at Emberwilde is definitely a book to recommend to your book loving friends! Source: I received a free copy of this book via the publisher. Beyond the Rising Tide by Sarah Beard, Blog Tour & Giveaway! This book is incredible! Honestly it is a story unlike any other that I have read! I kept imagining how things were going to end, how a resolution could result and honestly nothing I came up with came even remotely close to what happened! Beyond the Rising Tide is a beautiful and emotional journey of impossible love. Love that knows no boundaries, love that shouldn't even be possible, but a love that is real!!! I could not put this book down and I am still about Avery and Kai's story even though I am done reading it. You will love this book! You will!! It keeps you guessing, it keeps you emotionally involved in the characters and it is beautiful! Beard tells a story that will stay with you long after you close the book! Excerpts (Kai's point-of-view): I’m not sure if I have a heart, but something in my ribcage swells at the sight of Avery. Her hair shimmers like spun gold in the sunlight, falling over her shoulder and hiding her face. She’s sitting on a sheet of black rock, head bent, and the flowery skirt of her sundress ripples in the breeze. If she turns around, she’ll see me. If I speak, she’ll hear my voice. I open my mouth to do that, but it’s parched, hit with an unexpected drought of words. I’ve been walking for hours, and I still don’t have a solid plan. I have an end goal, but it’s like looking up at the peak of a mountain when I’m still in the valley. I want Avery to find happiness again, but I have no idea how to get her there. Eternal Mercury by Elaine Pinter, Blog Tour & Giveaway!!! Chelsee Taylor has been in love with her boyfriend, Max, since they started kindergarten together. She has no idea that high school graduation will be the last perfect day of her life. After a tragic car accident, she refuses to accept Max's death because she can still feel his presence. No one believes her and she is completely alone. But all of that changes the moment she meets Blake Andersen. It's not just that he believes her . . . or even just that he's so understanding . . . but why is Max's presence so strong when she's with Blake? Eternal Mercury is two intertwined books in one. Book one follows Chelsee’s bittersweet journey and book two uncovers Blake’s story of redemption. In the end, it is Max who will inspire them both to trust fate, live life, and finish well. When I first realized that I wanted to write a book, I knew that I wanted it to be different. Shortly after I began brainstorming for that unique idea, a car-crash scene on a mountain highway started playing in my head. Not only was I looking for a unique story idea, but I was also looking for a positive message. I began to wonder if, instead of something scary like a ghost, could something good be left after someone died? The answer became clear to me: organ donation. What could be more beautiful than that? And what could be more romantic than true love that could survive the boundaries of death? To my surprise, the idea turned out to be more realistic than I expected. Through research I discovered the phenomenon of cellular memory. Cellular memory is when people who receive transplants take on traits of people whose organs they receive. It’s rare, but when it does happen, it can come in the form of food cravings, changes in musical taste or hobbies, and sometimes even glimpses at other things about the donor. Although the level of cellular memory I portrayed in Eternal Mercury is fictional, the need for organs definitely isn’t. It’s hard to think about death, and the common misconceptions about organ donation don’t help. But by understanding the facts and then making your decision known, you just might be able to bring something good out of the bad. That part of Eternal Mercury isn’t based on fiction. Here are the facts: Over 100,000 people, including kids, are in need of transplants. Over 20 of them die waiting each day. One person can save up to seven lives by donating their heart, liver, kidneys, lungs, pancreas, and small intestine. That same person can improve the lives of many others through the donation of tissues such corneas, skin, veins, tendons, ligaments, and bones. You won’t receive less medical care if you decide to become a donor. Doctors and nurses make every possible effort to save their patients’ lives and will not even consider organ donation unless a person dies. Income, social status, and race are not factors in deciding who receives organ transplants. You’ll be helping people who need it the most and your family will not be charged for the procedure. Most major religions support organ donation. I’m not sure that there could be a more loving or selfless gift, but don’t be afraid to check with your spiritual advisor. Almost anyone can be an organ donor. Age and/or medical history don’t necessarily disqualify you. The most important thing you can do is let your family know whether or not you want to be an organ donor. No matter what you decide, telling your family will save them from the pain of trying to guess your wishes at a time when that’s the last thing they need. And if the choice is right for you, to let someone else continue on when you’ve reached the end down here, don’t think about what it means for you; instead think of the incredible gratitude you’d feel if someone did it for you or someone you love. I have loved Stansfield's writing for a long time now and once again she did not disappoint! I really enjoyed the immediate connection between Thomas and Ruth. I was surprised and shocked at his decision to marry her but it made for a very interesting and unlikely solution in the story. Stansfield builds the characters well and unfolds the story in a way that keeps the reader engaged until the very end! Not your traditional love story, The Heir of Brownlie Manor is a book you will want to read! A Date with Danger by Kari Iroz, Blog Tour & Giveaway!!! This book was laugh out loud funny! Seriously I was laying in bed and I could not contain the laughter from reading this book! Any LDS/Mormon girl will be able to relate to it and all will love it! I loved how Jack turned to chocolate when stressed, which let's be honest, I do that! The way she felt about herself, how she couldn't see how wonderful and beautiful she was, only how wonderful her friend was, all women can relate to that! But most of all I loved how nonchalant she was about going undercover for the FBI, like hey no biggie, I am just a super secret undercover agent person now! The way the story is written is so natural, I just loved it so much! It is light-hearted with serious elements and it reads easily and quickly! 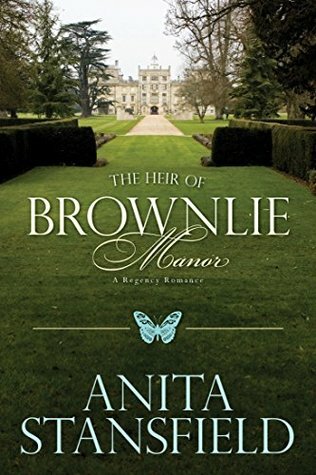 If you want to read a fun, laugh out loud love story, then this is the book for you!